Hosting a Thanksgiving dinner with a turkey (if it is a traditional dinner) and all of the side dishes can get pricey. The Thanksgiving holiday is one that centers around food. Many people will be hosting dinners and inviting friends and family over to their homes to eat. 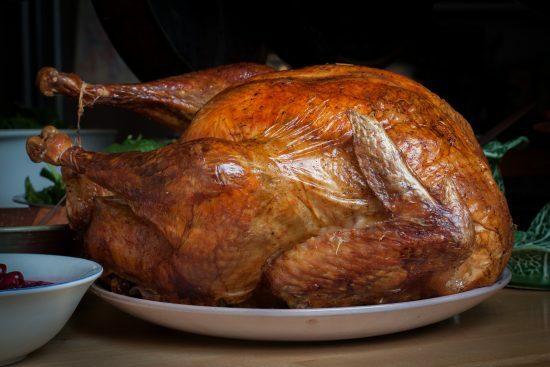 However, with turkey price 19 percent higher than they were last year, there may be a few ways you can cut down on Thanksgiving costs this year. If you are looking for ingredients that are out of season, it is absolutely okay to use frozen or canned vegetables. If the salt in canned veggies turns you off, simply rinse them thoroughly before using them in your recipe. Ingredients that are pricey can become a problem too. However, if you only need 2 teaspoons of an ingredient, chances are you can skip it all together. Another way to save when making a large meal like Thanksgiving dinner is to simply keep your kitchen stocked with staples. Things like flour, sugar, oils, spices, salt and pepper, mustard and things you would use for the holiday should be things you always have in your kitchen (but maybe don’t use constantly). Preheat your oven to 375 degrees. Line a sheet tray with parchment paper and toss sliced mushrooms with 1 tbsp olive oil and a pinch of salt. Bake for 10-15 minutes until mushrooms are crispy. Be sure to check your mushrooms frequently to make sure they aren’t burning. While your mushrooms are baking, heat 1 Tbsp olive oil in a large skillet over medium heat, add Brussels sprouts and season with salt and pepper. Cook 5 to 7 minutes. Reduce heat to low and add shallots. If you feel you need more oil in the pan, add. Continue to cook until shallots are soft, add the broth and bring to a boil. Reduce the hear to medium-low and simmer until the broth has evaporated. Then, stir in the vinegar. You can serve this dish in a bowl. Preheat your oven to 350 degrees. Cut squash into ½ inch rounds. Put about a half-inch of water into a pot and bring the water to a boil. Add the squash to the boiling water, cover with a lid and stir occasionally for about 5 to 7 minutes. Once the squash is cooked, drain it. Combine the cooked squash, cheese and mayo in a large mixing bowl until the cheese is melted. Add the cracker crumbles vigorously allowing the squash to break up as your stir. Then, scrape the mixture into a casserole dish and smooth it out. Sprinkle with more cheese and bake for 30 minutes. There are a ton of ways to cut costs this holiday season. If you are looking for other recipes that will cost $10 or less, check here. You can enjoy the season and the holiday without breaking the bank, and these recipes and tips are a great way to do that. One of the issues many people have trouble overcoming when trying to get their finances in order is that it requires a commitment to a lifestyle change. If your finances aren’t in order, it’s because you have been doing things that have lead to them not being in order. If you continue doing the same things that you have been doing, you are going to continue to get the same results. That means that if you aren’t willing to make the change, you’re going to have a difficult time succeeding in getting your finances where you want them. A good analogy would be dieting. Going on a diet doesn’t work if you’re trying to get healthier. It’s a short term solution that will never have lasting effects. It’s not until you make a lifestyle change in your eating habits that you actually have the chance to get healthier. While many may complain that they can’t eat everything that they want, making the change is an investment in their future health. In the same way, temporarily cutting costs isn’t the solution to getting your finances in order. It’s the same mentality as those who are trying to get healthy through the latest diet. It will likely have some short-term benefits, but it won’t deal with the underlying issues that need to be addressed. Even worse, you will likely hate and complain about having to do it the entire time. You don’t really want to cut the costs, you have to against your will. 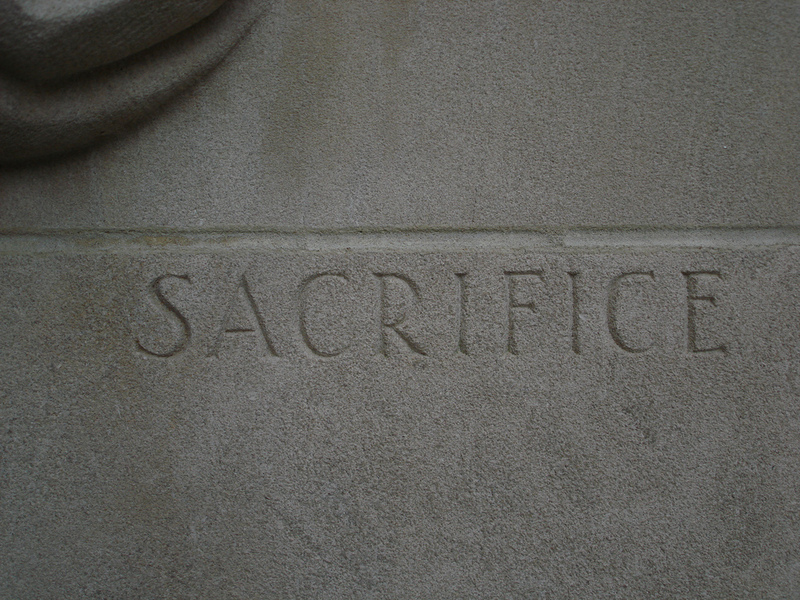 You have to make this huge sacrifice because you don’t have enough money. Taking this approach to try and better your financial situation is bound to lead to failure. One of the most important mental changes that you can make is changing your belief system that when you forego something now, it’s not a sacrifice, but instead it’s an investment in the future. Take a moment to let that sink in. You have two ways that you can look at it. Forgoing something you might want at this moment can either be viewed as a sacrifice that you don’t want to make but have to, or it can be viewed as an investment in the future that you do want. By taking the initiative to see that the choices you make regarding money, and the choice to delay or forego certain things today in order to achieve the greater goals you have for the future, you are working for something positive. You are no longer sacrificing each day. Instead you’re investing in your future day in and day out. Part of what makes this mental view change possible is the commitment that you really do want to change. If you are seeing everything as a burdensome sacrifice, there’s a good chance that you’re not really committed to making the changes. You’re more likely being forced to make them against your will. Once you have taken the time to find and set your financial goals, and then make the commitment to achieving them because that is what you want, you will find that everything you’re doing isn’t the sacrifice you once thought it was. You’ll see that what you’re truly doing is laying the foundation for your future and investing in it.